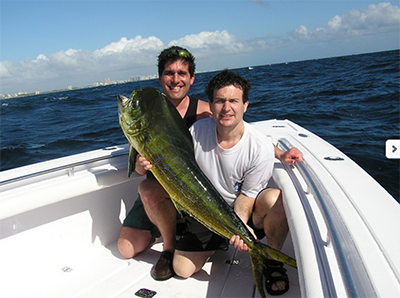 Fort Lauderdale, Florida is one of the top fishing destinations in the world, due to its close proximity to the Gulfstream current and the abundance of migratory fish that pass through its waters, year-round. Sailfish, swordfish, marlin, tuna, wahoo, dolphin, sharks, snapper and many more species can be caught along our massive reefs , only one mile from shore. This close distance to fishing grounds allows us to effectively target big game fish in as short as a half day trip. 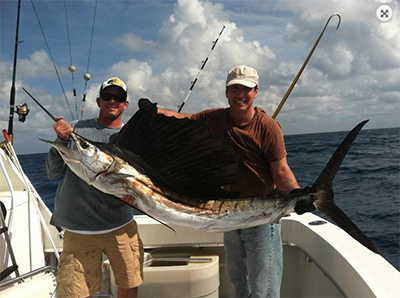 Read through our website and check out all the deep sea fishing trip options we have available. 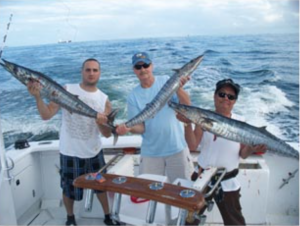 Our charter boatsrun shared charters every day, where you share the boat with another couple fishermen. 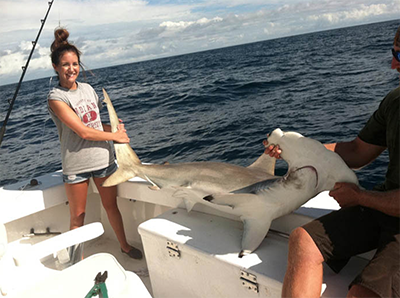 On a private sportfishing charters, your party will have the entire boat to yourselves and the crew can fish directly for whatever species you would like to target. 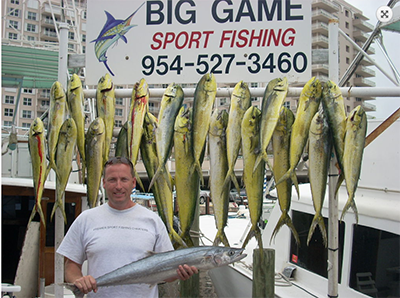 Our private charters run for 4 hours, 6 hours or 8 hours, depending on which fishing trip you choose. 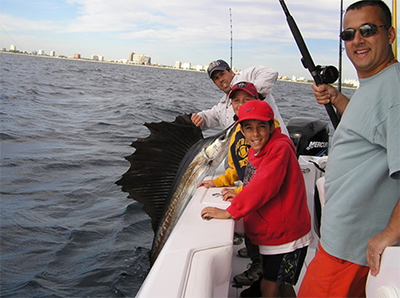 Swordfishing trips, both day and night, offer a unique fishing experience. 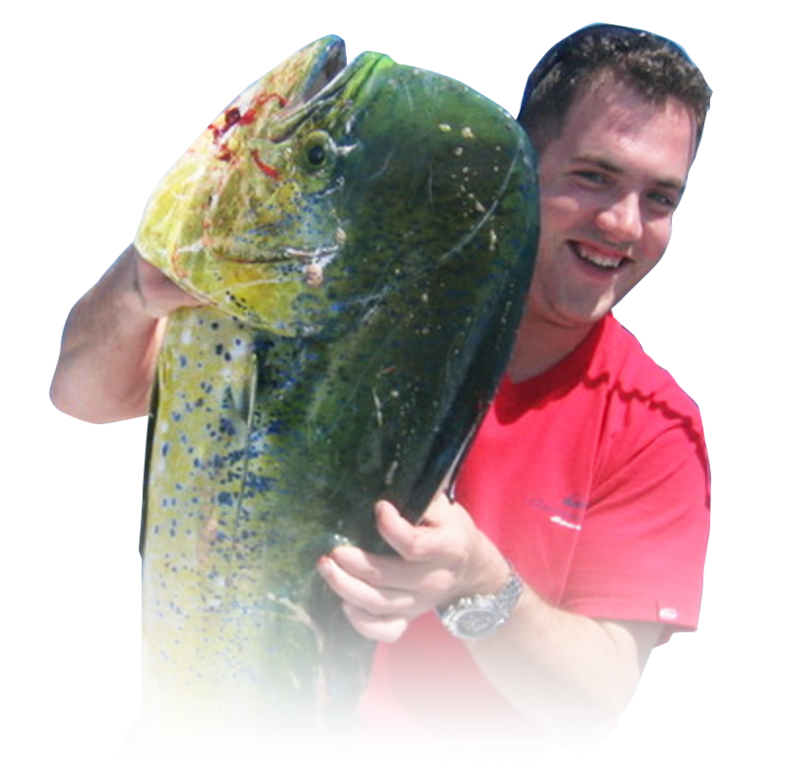 At New Lattitude Sportfishing, we specialize in Swordfishing Charters and we consider them to be the most awesome gamefish on the planet. Daytime and Night Swordfishing are both totally different fishing styles. Try them both! Guys I had the greatest time fishing with New Lattitude. The best trip I’ve ever taken. You guys were awesome, and of course the fishing was unbelievable too. If I ever get back to Ft. Lauderdale, I know exactly where my first stop will be. Thanks again guys. It was a one of a kind trip to Florida. We wouldn’t have had the same experience with any other guys. We are very appreciative for the experience we had. We had one hell of a trip. Thank you! Had a great day of fishing and wanted to pass along my thanks and kudos to Captain Adam and Joey for making it such a memorable trip. Great job by those two. Tell them I’m coming back in a few weeks! Ready to Fish Big Game?